InfoTrack provide award-winning technology that challenges the legal market and evolves the way law firms access and utilise data from a range of sources including Land Registry, Companies House and HMRC. 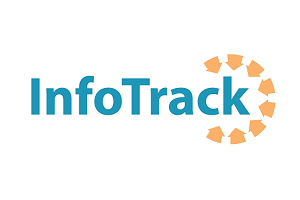 Employing technology that is smart, simple and enjoyable to use, InfoTrack offer a range of services and online workflow tools to ensure legal professionals are efficient and reliably informed wherever information is concerned. InfoTrack’s services cater to the needs of both corporate solicitors and conveyancers alike.